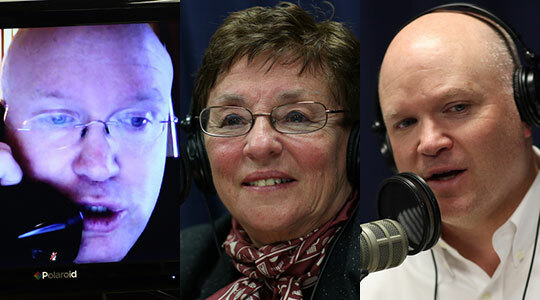 Summary of today’s show: On the eve of one of the most momentous elections in a generation, Scot Landry welcomes Fr. Roger Landry and Janet Benestad to discuss one last time about the life and death consequences of Massachusetts Question 2, which would legalized assisted suicide; how one might choose between two candidates who have declared themselves to be pro-choice as Scott Brown and Elizabeth Warren have; and what a Catholic needs to remember when deciding whether to re-elect a candidate who has consistently curtailed his own religious freedom. 1st segment: Scot Landry welcomed everyone to the show and the election eve special. He welcomed Fr. Roger Landry and Janet Benestad to the show. Fr. Roger will be on the show tomorrow and Wednesday as well. Scot said Janet and her team has been sprinting over the past year to educate people about Question 2 on assisted suicide on tomorrow’s ballot. He asked her for her assessment. Janet said we’re in good shape and done everything we could possibly do. She emphasized that this isn’t a Catholic issue, but people of all faiths and no faith have supported a No vote on Question 2. The effort has been formidable and people are coming to understand this may be the most important vote they ever cast. Scot noted so many elections in Massachusetts are not this close. There was 25 point spread a few months ago, but now it’s within the margin of error. He’s heard people say they were happy they registered in Massachusetts to cast this vote. Fr. Roger agreed that this is literally a matter of life and death and we will all have to deal with this issue within our lives, whether for ourselves or a loved one or someone we know. We need to push in the direction of true compassionate care and not open the door to a Trojan horse that undervalues certain lives. This is the time for all Catholics to step up as real Catholics. Archbishop Chaput said last week that before we’re Democrat or Republican or even American, we’re Catholic first. Scot asked Janet if she still has concerns about people having misconceptions about Question 2 and being tricked by the euphemisms. Janet said they are concerned about the wording of the ballot which could confuse voters. The No side says it’s to not change the law in Massachusetts and people may not know what the law is. So they’re just simply saying to Vote No. Others may be convinced by those arguing for assisted suicide because it’s supposedly dignified, but she pointed out all the loopholes in the bill that doctors, ethicists, and public policy experts will say is a problem. Scot asked Fr. Roger if he hears from people who have such misconceptions. Fr. Roger said a lot of people are ignorant that it’s even on the ballot. He said Bishop George Coleman of Fall River had a message played in every parish in the diocese this past weekend on how people can fulfill their Christian duty through their civic duty and helping those who are most vulnerable. He said in a close election, we might be the ones who can persuade the two or five or ten who will decide this vote. Scot asked Janet what listeners should do between now and tomorrow. She suggested calling everyone, especially those who might be confused, and to make sure they go vote. And finally pray to be spared this dangerous bill. Fr. Roger asked his parishioners to go work the polls tomorrow, to hold Vote No on 2 signs and offer literature.Many of his parishioners have signed up to man any of the polling stations throughout the city so that there’s someone at each place. People are making calls and sending emails tonight. Scot suggested people send out a message on each of Twitter or Facebook tonight. He asked people to send a nice gentle respectful message to people in their address books who live in Massachusetts. Your email, tweet, or Facebook message may be what’s in someone’s mind as they go to vote tomorrow. Question 3 on the ballot is legalizing medical marijuana. He asked Fr. Roger if there’s a moral reason for a Catholic to vote yes. Fr. Roger said he can’t see one. There may be some medical help to be given through a drug like this, but there are larger social issues as seen in California with all the bogus prescriptions given out. Marijuana is infamously a gateway drug and creates patterns of escape from reality. Janet said marijuana is not the way to keep our communities clean and safe. Scot said you only have to ask police what they see as the result. Turning to the US Senate race, he asked how he would break down the life issues between Scott Brown and Elizabeth Warren. Fr. Roger said there’s nothing he’s ever seen anything from Warren to show she thinks there’s an abortion in the US that shouldn’t be celebrated. While Brown has run ads showcasing his pro-choice positions, he’s voted with pro-lifers in some cases. He said Warren’s strategy seems to have been to focus on Brown’s Republican Party and hypothetical votes. But in an election in which Catholics are voting moral issues, the track records of the parties is important, especially considering Supreme Court nominations, Senate hearings, revision of Obamacare. So it’s how they might vote with their party in Washington. He said Republicans have been more consistent on the life issues along the lines of what the Catholic bishops have been outlining as the pro-life way. Janet said Catholics will find themselves most comfortable in the Republican platform. Warren has been so extreme and talking as if women are only concerned with reproductive rights issues. The Democratic party is so extreme with regard to those reproductive rights. Scot asked if the so-called War on Women has backfired. Janet said women resent the fact that they have been reduced to an ideological position on contraception and abortion. They care about the economy, healthcare, national defense and more. She related anecdotes about people beginning to resent the reduction of the political to a couple of hot-button ideological issues through negative advertising. Scot said in this case you have two candidates who talk as if they’re pro-choice although on a continuum. Fr. Roger said it’s unfortunate we don’t have a choice between two staunch pro-lifers. The teaching of the Church is that a Catholic must vote according to a well-informed conscience. One option is that if there are serious qualms about both candidates, then they can write in a candidate as a vote of none of the above. The second option is to look to see which would do the best and most amount of good or to prevent the worse the evil from the other candidate. Pope John Paul II was clear in 1995 that it is morally legitimate to accomplish as much as you can when there is no good choice. It’s morally possible to vote for a pro-choice candidate who wants to restrict abortion versus one who doesn’t want restrictions in order to bring about the greater good. Trying to weigh this with regard to war, poverty, and other matters is more difficult, but there are some non-negotiable issues like abortion and then there are other issues which are prudential. No candidate is pro-poverty, but they have different ideas for how best to solve the problem. When candidates are fundamentally wrong about the ends of government, however, that weighs more. 2nd segment: Scot said there is a lot of intellectual information to take int o the voting booth, but there are personal experiences we bring with us as well. Scot’s friend Phil Lohnes has had experiences in his own family about flawed terminal diagnoses. He welcomed Phil to the show. He said his aunt at 84 years old was given a six-month terminal diagnosis of cancer and she’s still here at 90. She believed it on the one hand and got her affairs in order, but also didn’t believe it too. It was a sword of Damocles over her head that even left her wondering what the point of living is, which is there had been assisted suicide she would have thrown away years of life. Phil said mostly people in his family don’t talk about what happened, but they begin to realize that more people need to know. He said his mother-in-law suffered a head trauma five or six years ago. She was rushed to a hospital in Boston and within a week or so, she had a saline drip adjusted not once, but twice, by a nurse that if left that way long enough would have killed her. the only reason it didn’t kill her was her medical doctor daughter caught it. Someone within that hospital decided her life wasn’t worth living. Now she’s lived to see her grandchildren through the next stages of life. Scot said Cardinal Seán had articulated this as one of his concerns as a slippery slope. People could end up afraid of their medical caregivers and worry that they have become executioners. After Phil ended the call, Scot said there are many stories like Phil’s about relatives who outlived terminal diagnoses or just had the time to live with loved ones. Janet said she is herself a cancer survivor and had she not received treatment nine years ago she would never have met her grandchildren. Lethal drugs is not a treatment for a disease. We should start with good end-of-life care. That’s where this conversation begins. One of the strongest arguments against Question 2 has been that terminal diagnoses are often wrong and the biggest champions have been leaders in the Massachusetts medical community. He said it’s stark to hear a case like Phil’s. Back to Fr. Roger, Scot said he recalled how many days back in 2000 to settle Bush v. Gore. Everything he hears now with so many battleground states, it may end up as close as 2000. Fr. Roger said there are issues in Ohio where we may end up waiting 10 days to find out the result if it comes down to provisional ballots. He said in 2000 the entire presidential election was decided by 537 cast out of six million in Florida. Fr. Roger said he was in Nashville recently and talked to a doctor who’d studied what had happened in Oregon after assisted suicide was legalized there. Hospice nurses would tell him that the main reason given for the approval of all the distribution of pills was a lack of autonomy, but almost all the individuals who got prescriptions for the pills in their last days spent their last days talking about the pills, rather than God or their families. They agonized over whether to take the pills instead of preparing themselves and their families. Fr. Roger also expressed his thanks for Victoria Kennedy who wrote in an op-ed last week about how she was able to spend the last 15 months with her husband Sen. Ted Kennedy. Scot said there’s a lot at stake in the presidential race. One of the issues we’ve been talking about is the relationship between our Catholic faith and how the government respects us. Scot said he’s felt like in the past both Democrats and Republics have respected our Catholic bishops. But when it comes to this Affordable Care Act, it was done without respecting the hierarchy within the Church, but instead the Obama administration spoke to dissident organizations. And then didn’t deal above board with bishops when the HHS mandate was put forward. Janet said there’s no question that we’re being called to violate our consciences in order to live up these expectations from this administration. Janet said she too has always thought our government respected our religious freedom, but now we’re in a difficult position in this election. Scot asked Fr. Roger if this is the top issue in the national election? He said he personally believes it’s the most consequential element of the election. On abortion and gay marriage, much of the change possible is complicated, takes time, and is out of the president’s hands, but on this issue this is something that can change on Day One. Fr. Roger asked his parishioners yesterday if a president is actively campaigning that abortion is American as apple pie, if he’s threatening existence of Catholic hospitals and schools, and if Catholics still vote for him, what will the conclusion be? Pope Benedict spoke earlier this year about the worrisome developments in America about the limitations on the practice of religious freedom. We’re either going to teach them a lesson or they’re going to draw lesson on how we accept what happens. It doesn’t mean a Catholic has to vote for Romney, but could vote third party. “Catholic” is a word that has real meaning. We don’t control or invent that meaning as individuals. We inherit it from the Gospel and the experience of the Church over the centuries. If we choose to call ourselves Catholic, then that word has consequences for what we believe and how we act. We can’t truthfully call ourselves “Catholic” and then behave as if we’re not. Being a Catholic is a bit like being married. We have a relationship with the Church and with Jesus Christ that’s similar to being a spouse. If a man says he loves his wife, his wife will want to see the evidence in his fidelity. The same applies to our relationship with God. If we say we’re Catholic, we need to show that by our love for the Church and our fidelity to what she teaches and believes. Otherwise we’re just fooling ourselves. God certainly won’t be fooled. The Church is not a political organism. She has no interest in partisanship because getting power or running governments is not what she’s about, and the more closely she identifies herself with any single party, the fewer people she can effectively reach. In the end, the heart of truly faithful citizenship is this: We’re better citizens when we’re more faithful Catholics. The more authentically Catholic we are in our lives, choices, actions and convictions, the more truly we will contribute to the moral and political life of our nation. Janet said we have to have well-formed consciences, learning as much as we can about the issues and what our Church teaches about the issues. Fr. Roger said tomorrow is a big day and God is counting on us to be salt, light, and leaven.